Dark Souls: Remastered has released early. The game, which was due to come out tomorrow, May 25, is currently available to add to your cart and purchase on Steam. Publisher Bandai Namco appear to have made the game available overnight, despite no official announcement being made. The 50% loyalty discount for owners of the game’s original Prepare To Die version is also available. Players realised the game was available last night as those who had pre-ordered it found that it was available to play through their Steam libraries. In turn, that lead several people to discover that the game’s store page had a live buy button. 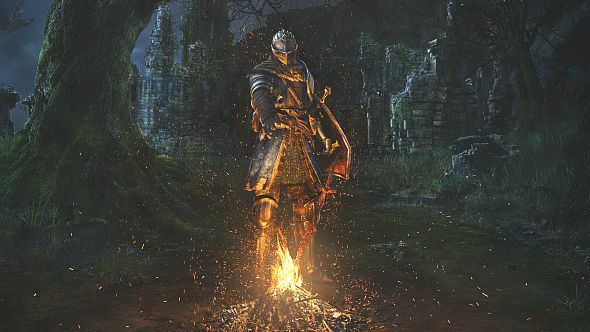 Dark Souls 3 usurped the original Dark Souls on our list of the best PC games, but could Remastered reclaim the title? If you’re planning on waiting for a sale to pick up the game, then it might be worth checking out our list of the best games like Dark Souls for PC, but given that you can pick it up for as little as £17.49, now might be as good a time as any. Surprisingly, though, Dark Souls Remastered on Steam only has a ‘Mixed’ review score at time of writing. Given, however, that it shouldn’t technically be out yet, any reviews are coming from accounts relatively early in their playthroughs, and there are complaints of hackers in PvP. If you want to take a bit of a look for yourself, we’ve got nearly half an hour of Dark Souls Remastered gameplay footage for you to check out below. As we pointed in our Dark Souls Remastered gameplay, there’s a potential for the game to be quite a hard sell at full price, especially when you can mod the original for free (assuming you bought it before it was taken off the Steam store). That could be a significant part of the reason behind player dissatifaction at this point, even with the loyalty bonus.